To be successful in the global marketplace, today’s graduates need to be informed, adaptable, and creative. With regards to science, technology, engineering, and math (STEM) education, this requires teaching students how to become critical thinkers. In essence, we need to teach science in a way that better represents how scientists conduct investigations and experiments. This paradigm shift, from students simply memorizing scientific information to being part of the process of scientific discovery, stresses the importance of procedural knowledge. Procedural knowledge refers to the methods that scientists use to ensure that their findings are valid and includes learning to ask questions, analyzing and interpreting data, engaging in argument from evidence, and synthesizing scientific knowledge. One available resource to help students learn this kind of procedural knowledge is primary scientific literature. Peer-reviewed publications describe how scientists approach a question, lay out evidence explaining their findings, and discuss what steps to take next. Reading and deconstructing primary scientific literature essentially allows students to experience the logic of moving from a problem or question to a set of data to a new conclusion. 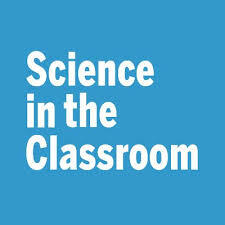 The long term goal of my research is to create, design, assess, and disseminate innovative ways to teach procedural knowledge—to date centered on the use of scientific literature as an educational tool—in order to highlight and promote the scientific process. Read Dr. McCartney’s science education highlights in the “In Other Journals” section of Science.